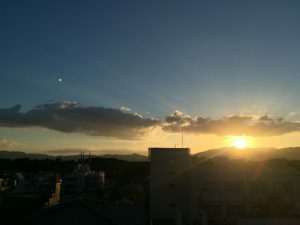 The early morning following the day that I submitted my first blog post, an earthquake happened in the northern area of Osaka City, a region right south to Kyoto. 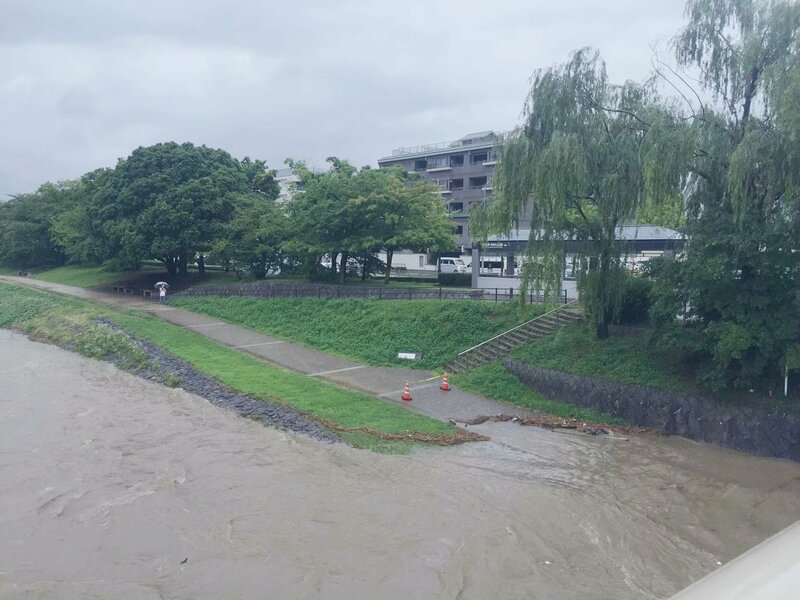 The magnitude 6.1 earthquake hit Osaka and Kyoto was significantly affected as well. Japan is known for frequent earthquakes, but it was my first time experiencing an earthquake at this level. The earthquake itself lasted approximately 30 seconds, and it took me about 10 seconds just to realize that it was an earthquake. I was at home while the ground suddenly started “jumping” up and down, and then, moving horizontally. 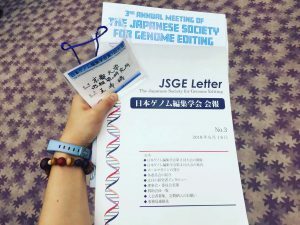 In fact, some of the lab members and I were planning on heading to Hiroshima for an annual genome editing conference at around noontime that day, but all available public transportation in the region was completely stopped. I managed to get to the lab on foot as usual to meet up with the other members. I did not observe much panics from the faces of people passing by me on the streets. 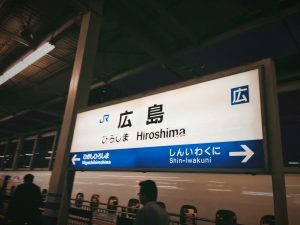 While the lab members were in the lab waiting for the updates on public transportation, we were even talking about staying over in the lab and leave for Hiroshima the next day as it was unknown when the transportation will return normal. The earthquake was not the end of the story, a heavy and constant rainfall hit western Japan beginning on July 6th. Kamo River and Katsura River in Kyoto were severely flooded and so did many other rivers in western Japan, especially those in the south-western region. A significant numbers of people lost their lives due to the flood and the sequential sediment disaster. 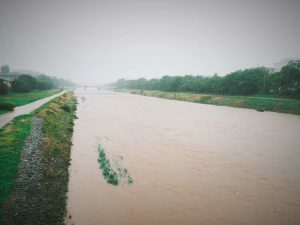 According to the news, it was the most devastating rainfall and flood since Japan entered the current era, “Heisei period,” which means it was the most severe flood on record in the past 30 years. 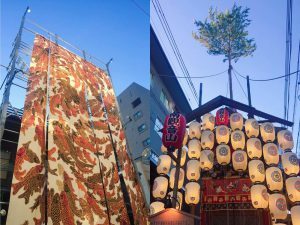 While I am writing this blog during this long weekend, the famous Gion Festival is going on just outside of the window despite of the record-breaking high temperature these two days. Besides the busy laboratory work, all these unexpected or expected events have become the spice of a monotonous daily routine. Though I have felt the significant personal growth in a lot of dimensions because of the laboratory part of this experience, the other parts were also the essence. 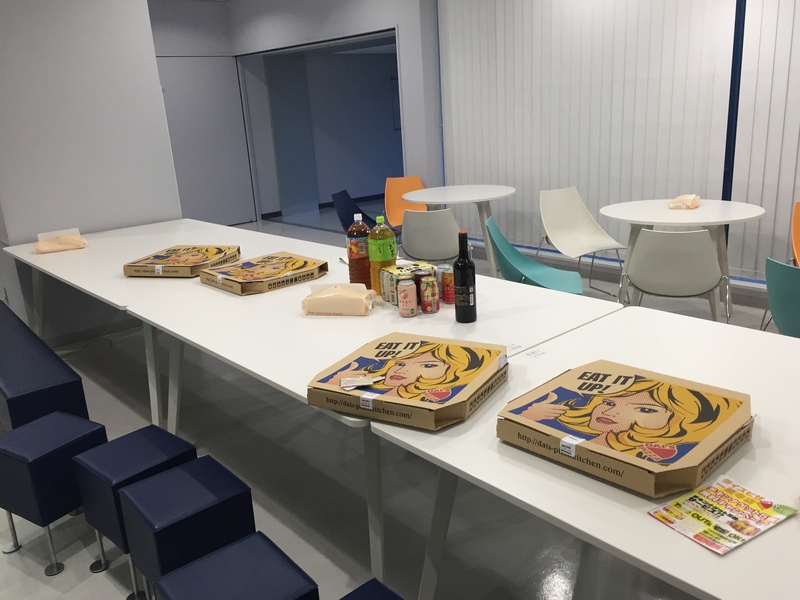 They certainly added diverse colors and flavors to this unique cross-cultural and cross-field internship experience. For every day I am at work, I tried my best to enjoy and make the most out of it. Indeed, I started my independent works last week after only a month of “intensive training.” Still, I cannot believe that half of my internship has passed already. I am definitely going to miss my life here in Kyoto and at CiRA a lot. 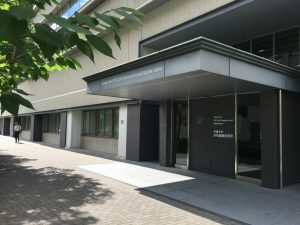 After being involved in undergraduate research for almost three years, working as a Japanese peer tutor for 2 years, completing a clinical research project abroad in Denmark, and browsing and researching different websites for hundred and thousand hours, I am finally here: Center of iPS Cell Research and Application (CiRA) at Kyoto University in Japan. I arrived in Kyoto on June 8th, the Friday before the week I officially started my work at CiRA. 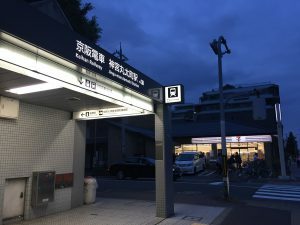 My mentor, Peter Gee, offered to pick me up on the platform of the Kyoto Railway Station even though it was past 9pm right before the weekend. He walked me to the hostel that I booked for a temporary stay before I moved to the long-term apartment the next morning. He was so nice that he even bought me a bottle of iced tea and some snacks in case that I was thirsty or hungry. I was so grateful for his help that allowed me to settle in a new city very quickly and smoothly. On Monday morning, Peter came to the place that I will be staying at for the next 2-months and we walked to CiRA together. Everything that I have seen in documentaries and on TV numerous times were all right in front of my eyes. Peter quickly showed me around the building and introduced me to the other lab members in the Hotta Lab. Everyone I met on the first day, including those from on the labs, was very nice and gave me a warm welcome. Indeed, I was very nervous going to work on that day. I was stressed about meeting and remembering a lot of new people while getting oriented in the lab in order to start working as soon as possible. With lots of new information and knowledge, that day definitely turned out to be intensive and heavy-loaded for me, but I was glad that I was able to start the experiments and to work with actual cell lines that we will need data from on the first day. I felt extremely supported and trusted being the youngest student researcher in the lab. Peter carefully went through the possible projects and experiments I could do in these two months and asked for my thoughts and opinions on the first day. He said that the lab hopes for me to have an experience where I learn the knowledge and techniques that will be the most useful and beneficial for me. We decided that I will be working on not only the main focus of the lab, the induced pluripotent stem (iPS) cells from Duchenne Muscular Dystrophy (DMD) patients, but also on differentiating cortical neurons, which is closely related to my neuroscience major, previous research experience, and the research that I would like to pursue in the future. Starting from the second day, the remaining 4 days of the first week were all packed with experiments, but I was much more relaxed compared to the first day. 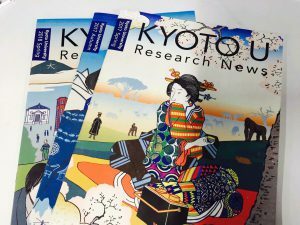 Surprisingly, while I still felt like I was dreaming, I adapted to life in Kyoto and in the Hotta Lab quickly. Although I received extensive mentorship and support from the lab members throughout the week, I was also given significant freedom to think and work independently just like an experienced researcher. It was a great research, academic and cultural environment where everybody is open for discussions and different opinions. I could hear active conversations not only in Japanese but also in English as a significant amount of people working at CiRA came from all over the world. Part of the Drinks and Pizzas from the Welcome Party It has only been a week since I started my work at CiRA, but I have learned so much academically and experienced many new things in daily life as well.